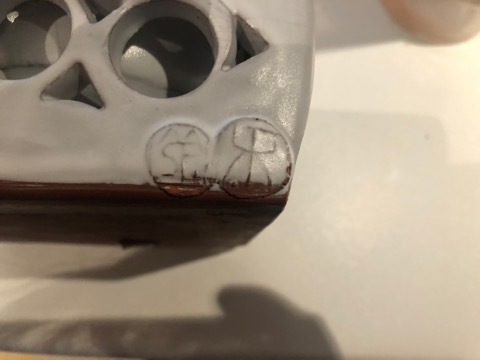 Does anyone recognise any of these marks? Not sure why there are 3. 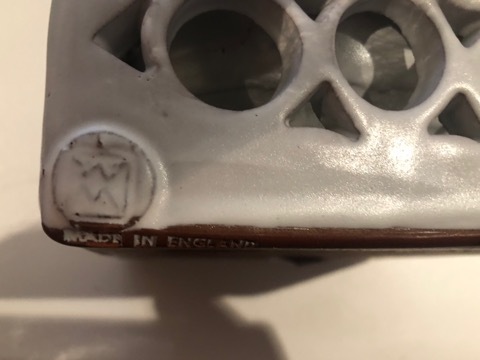 I’ve seen other pieces, stamped Made In England. Often misattributed to Sheila Fournier. 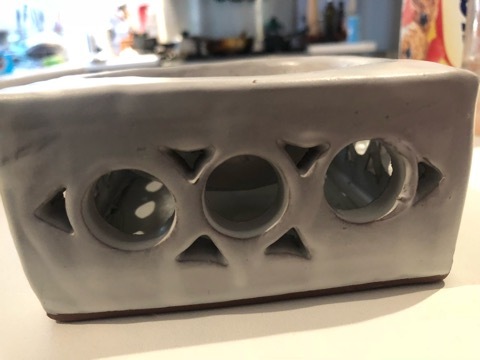 A potter said they were more likely to have been made by Mac Small at Wellington Mill Pottery in the 50s or 60s. He died in the 90s and his partner Rose Thomas sold the mill.